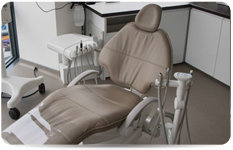 Riverpoint Dental Clinic offers treatments in prosthodontics, implant dentistry, periodontics, endodontics, oral surgery and paediatric dentistry. By providing a wide range of specialist services under one roof, we hope to make the process of accessing and co-ordinating specialist treatments smoother and more convenient for our referring practitioners and their patients. Sometimes, for complex cases you may prefer that your patients are seen by a number of specialists. 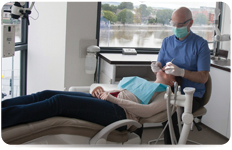 Here at Riverpoint Dental Clinic we are very happy to arrange multi-disciplinary assessments and will only charge the price of a single consultation, no matter how many of the team are involved. In these challenging economic times, we have tried to keep our prices as affordable as possible. Patients will always be offered a range of options that address clinical and financial needs as best as possible. For nervous patients, all treatment types are available under either oral, inhalational or I.V. sedation.